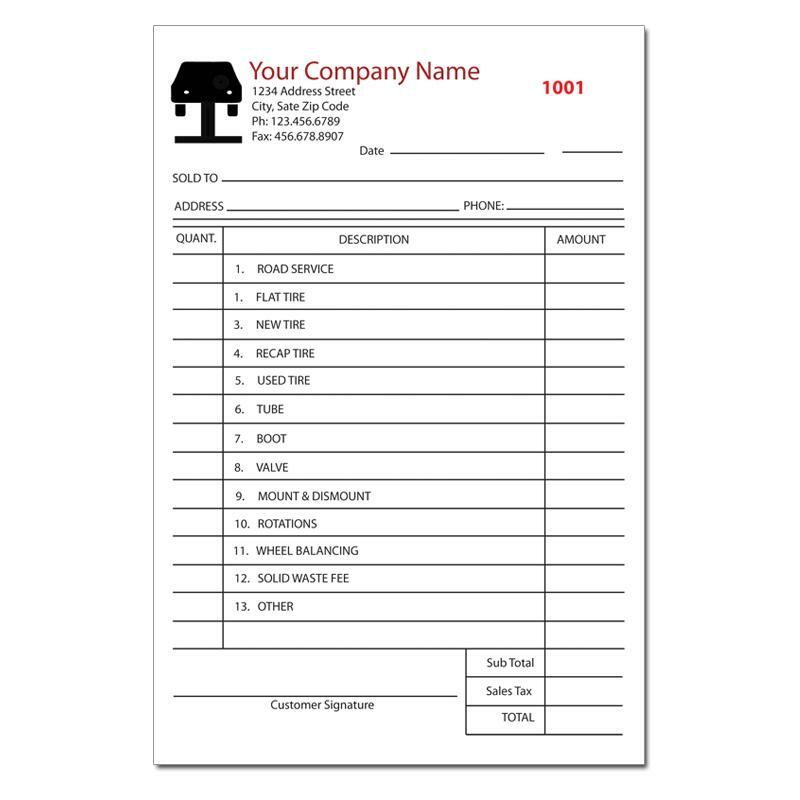 This invoice is designed and printed specifically for tire shops. It can be used for tire repair services and sales. 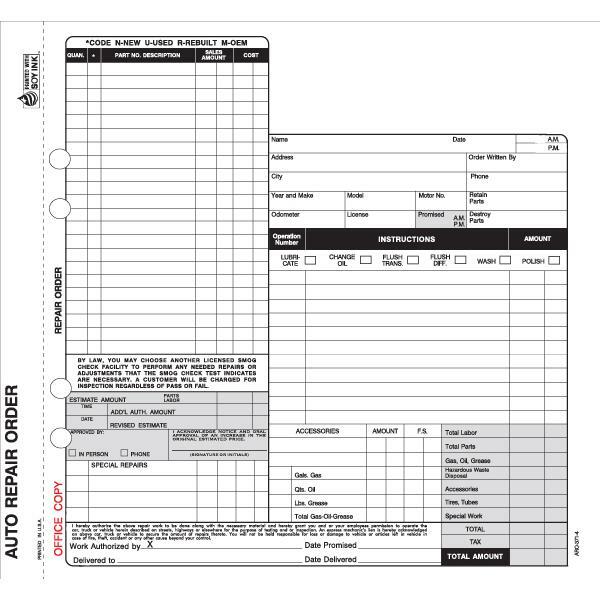 This invoice in designed and printed for the tire shop. It can be used for tire repair, sales, new or used tire, road service, mount or dismount, rotations, solid waste fees, flat tire and more. 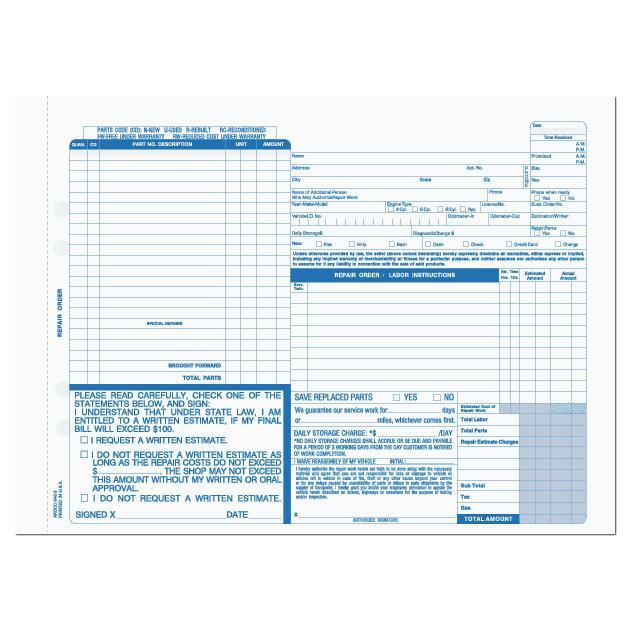 The standard Size is 5.5" x 8.5" but we can print other sizes large or small. 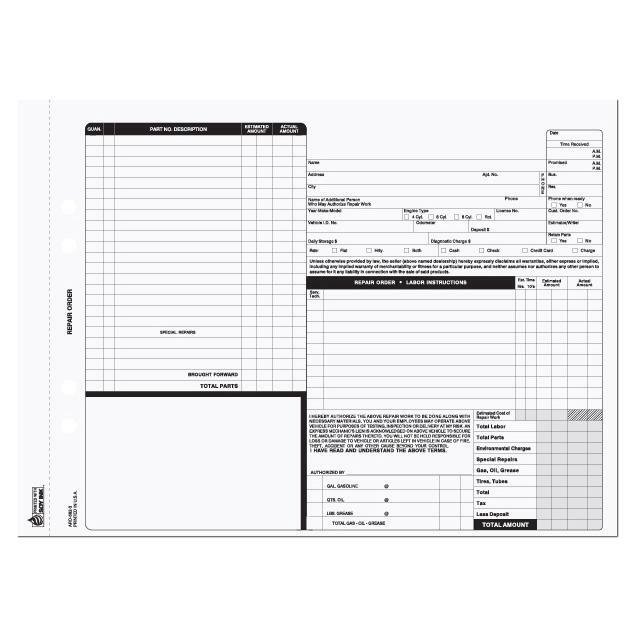 Other custom printing options include booked format, perforations, numbering, manila hard cover backing etc. We offer cheap printing but we have excellent quality. Order now or give us a call if you have any questions. 1.800.492.1218.